EMCORE Corporation (EMKR): Are Hedge Funds Right About This Stock? We have been waiting for this for a year and finally the third quarter ended up showing a nice bump in the performance of small-cap stocks. Both the S&P 500 and Russell 2000 were up since the end of the second quarter, but small-cap stocks outperformed the large-cap stocks by double digits. This is important for hedge funds, which are big supporters of small-cap stocks, because their investors started pulling some of their capital out due to poor recent performance. It is very likely that equity hedge funds will deliver better risk adjusted returns in the second half of this year. In this article we are going to look at how this recent market trend affected the sentiment of hedge funds towards EMCORE Corporation (NASDAQ:EMKR), and what that likely means for the prospects of the company and its stock. EMCORE Corporation (NASDAQ:EMKR) shareholders have witnessed an increase in activity from the world’s largest hedge funds lately. There were 13 hedge funds in our database with EMKR positions at the end of the last quarter. 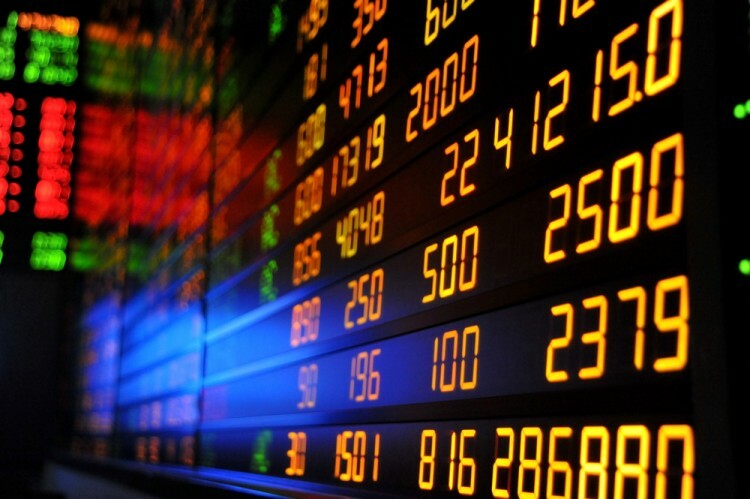 At the end of this article we will also compare EMKR to other stocks including Dipexium Pharmaceuticals Inc (NASDAQ:DPRX), Shore Bancshares, Inc. (NASDAQ:SHBI), and PROVIDENT BANCORP INC (NASDAQ:PVBC) to get a better sense of its popularity. What does the smart money think about EMCORE Corporation (NASDAQ:EMKR)? Heading into the fourth quarter of 2016, a total of 13 of the hedge funds tracked by Insider Monkey were bullish on this stock, up by 8% from the second quarter of 2016. 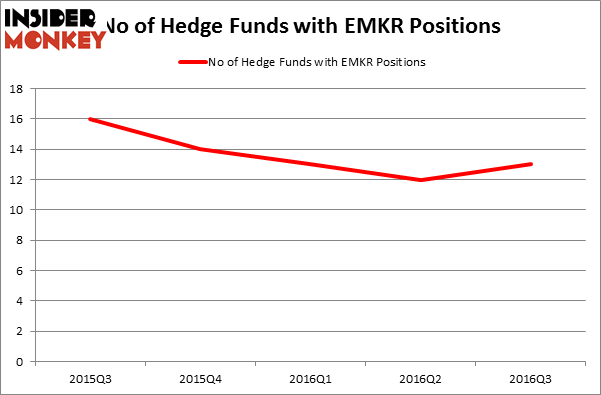 The graph below displays the number of hedge funds with bullish position in EMKR over the last 5 quarters. With hedge funds’ sentiment swirling, there exists an “upper tier” of noteworthy hedge fund managers who were upping their stakes considerably (or already accumulated large positions). When looking at the institutional investors followed by Insider Monkey, Renaissance Technologies, one of the biggest hedge funds in the world, holds the largest position in EMCORE Corporation (NASDAQ:EMKR). Renaissance Technologies has a $7.5 million position in the stock. Sitting at the No. 2 spot is Royce & Associates, led by Chuck Royce, which holds a $7.3 million position. Remaining members of the smart money that are bullish include John W. Rogers’ Ariel Investments, Christopher Zepf and Brian Thonn’s Kingdom Ridge Capital and Cliff Asness’ AQR Capital Management. We should note that none of these hedge funds are among our list of the 100 best performing hedge funds which is based on the performance of their 13F long positions in non-microcap stocks. Is B2Gold Corp (BTG) A Good Stock To Buy? How Bridgepoint Education Inc (BPI) Stacks Up Against Its Peers How BOK Financial Corporation (BOKF) Stacks Up Against Its Peers Is CAE, Inc. (USA) (CAE) A Good Stock To Buy Right Now? Is Super Micro Computer, Inc. (SMCI) a Good Stock to Buy? Do Hedge Funds Love Sterling Bancorp (STL)?